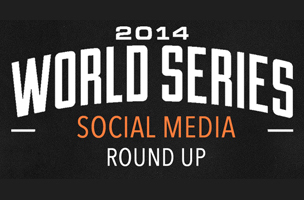 Not only did the Giants Win the 2014 World Series, they engaged their fans on social media as well. Now that the World Series has passed, and baseball season is over, it’s time to analyze what happened during the games on another wildly popular national pastime — social networking. An infographic from Datarank looks at which of the two teams took the social media influence prize. Datarank tracked 2.63 million interactions worldwide during the series: October 21st to 29th. The top hashtag was #WorldSeries, with more than 964,000 uses. The series winners, the #SFGiants, took second place with 586,000 mentions; #Royals came in third with 424,000 mentions during the week. Overall, the Giants generated more than double the number of mentions as the Royals, with 1.34 million mentions to 666,000. The top influencer throughout the series was the Twitter account @giants365 with 1,900 mentions. @TRACK_giants came in second with 1,400 and @sfgiants took third with 1,000 mentions.